Dickey’s Barbecue slow-cooked menu prices. Dickey’s Barbecue Pit is a fast-casual restaurant chain serving Texas-style barbecued favorites like beef brisket, pulled pork, ribs, and chicken. 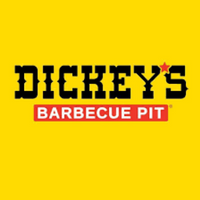 All meats are hickory-smoked on-site at each Dickey’s location. With every meal, guests get to choose one of Dickey’s homestyle sides including mac & cheese, green beans, or coleslaw. Below are the latest Dickey’s Barbecue Pit menu prices. Fans of Dickey’s can sign up and join the Big Yellow Cup Club and be the first to know about special offers or promotions. All good things come in threes even at Dickey’s. Just for joining, members get a free gift, plus on their birthday, and club anniversary. Dickey’s is a proud partner of the Barbecue Boots and Badges Foundation. The foundation is committed to serving those that serve the community- law enforcement and firefighters. Dickey’s helps the foundation by participating in fundraising events across the country. Travis Dickey opened the first Dickey’s Barbeque Pit in Dallas, Texas in 1941. In 1967, sons Travis Dickey Jr. and Roland Dickey took over and successfully expanded the business by introducing franchising in 1994. Today, the Dickey family is still involved with the restaurant. There are almost 600 locations across 43 states. For more information about Dickey’s Barbecue Pit, visit their official website. Can you order Dickey’s Barbecue online? Guests can order their Dickey’s favorite online at the official website. Where is the closest Dickey’s location near me? The nearest Dickey’s location can be found here. Does Dickey’s offer catering service? Yes, Dickey’s does offer catering services. Guests can choose from a variety of options- full service, delivery buffet, box lunch, or party platters. Guests should contact their local Dickey’s for more details.